This is a unique opportunity to learn the full system from Christine Core co-founder with her husband Kevin of Angelic Reiki. 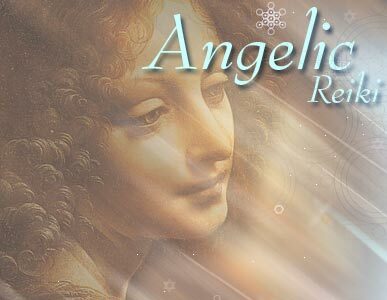 “Angelic Reiki it is the absolute joy of working hand in hand with the Angelic Kingdom of Light to bring one of the highest forms of healing to individuals, groups and the planet. Angels are beings who exist outside the different dimensions as we know them. They are the Master Programmers of the Main Programme we know as the Universe. Through their guidance and the healing art of Reiki we can positively influence the creative energy systems of any individual or group, according to Divine Will. This could be on a physical, emotional or mental level.” Kevin Core. Kevin left this incarnation on 2 June 2009. He has truly returned to his essence as an aspect of the Archangel Yophiel and from that place intimately and profoundly touches everyone who does these workshops, especially through me his wife, beloved and twin flame. This 9 day intensive will include all the attunements, initiations and information of the full system. An Angelic Reiki Master certificate will be awarded, but in order to teach and/or be a professional practitioner, 3 case studies will be required for submission after the workshop. These will support the participant in the practice of Angelic Reiki and the Professional Practitioner’s certificate will be given on completion of the case studies. This workshop will equip the participant to be a professional practitioner and teacher, as well as being a powerful transformative personal experience. 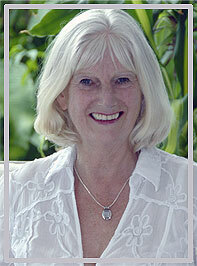 “Angelic Reiki is above and beyond any healing modality I have studied or practised. It is totally unique in its purity of content and divine presentation. Angelic Reiki will bring all that is needed for humankind's next step forward in this dance of life”. Patricia. It is open to anyone with or without previous experience; just a desire to come and work with the Angelic Kingdom of Light is enough. In Atlantean times, we knew we were Divine, and lived as such. receive 8 attunements. These attunements actually change the molecular spin of our physical vehicle and consciousness enabling the initiate to merge more completely with Angelic energy. have an opportunity to practice facilitating healing exchanges and attunements. have the opportunity to ask all your questions. you will receive an initiation into the virtues of 30 Archangels. you will be able to practice this modality professionally, and teach this incredible healing modality which is connected to the energy of Atlantis. What would it feel like to have the energy of the most powerful, Archangelic Presence that you could imagine, manifesting behind you and anchoring into your energy body the most pure, divine, simple healing symbols, which would enable you to make a permanent connection with your Soul, and that aspect of your being which is Divine? How would it feel to undergo an initiation into the vibration of the Angelic Kingdom of Light which would alter the molecular spin of the very atoms of your physical body and your DNA so that from that moment forward you would be able to merge with angelic energy in perfection? Imagine a connection with the Great White Brotherhood and the Ascended Masters which allows you to be embraced by their energy and be welcomed into the ranks of the galactic healers of this Galaxy? What profound joy would you experience if you found yourself in a multi-dimensional vortex, merging energy with an Ascended Master or a Galactic Healer in order to clear and balance past lives, on this planet and others, for yourself, your friends, family, or clients? How wonderful would it be to know death as the amazing initiation into spirit that it truly is and to be able to heal people through death both in the present and past? How wonderful would it be to look into the eyes of a fellow human being, and through eye contact alone, be able to send them the most profound healing they may ever have experienced? How awe inspiring would it be for you to be surrounded by your soul group in order for you to channel your divine presence to a patient, in order for that patient to recognize their own divine origins? How empowering would it be to integrate the true origins of Reiki? To understand what the symbols truly are, and to be initiated into their highest vibration of galactic and universal levels? Imagine the radiant splendour of having the energy of 30 Archangels manifest before you to give you probably the most profound initiation you will ever experience; their combined energies constituting the sum total of the vibration of the Angelic Kingdom of Light as we experience it in consciousness. 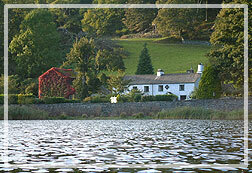 in the beautiful English Lake District. Information regarding the differences between Angelic Reiki and other forms of Reiki can be found on the Q & A pages. What a wonderful gift to be able to also give this to others. In the Angelic Reiki System, there are four attunements leading up to complete mastery of the system. There are also two angelic attunements which allow the student to be energetically initiated into the angelic vibration of the divine archetypes. These archetypes are the basis on which consciousness exists. The anchoring of these archetypes into the consciousness of a client or friend through healing can create a transformational shift for them, causing seemingly miraculous effects. There is also an attunement into the Angelic Rays and one into the vibration of the ten Archangels of the Tree of Life through colour. In Angelic Reiki, the Master Teacher does NOT do the attunements. An Angelic presence stands behind each person to be initiated and the attunements come through that Angel. The Angelic Kingdom manifests their energy around each student and anchors the symbols into the appropriate charkas. The symbols and the initiation are received by the student at a pure Divine vibration. Although symbols will be taught in the workshop, in order to practice Angelic Reiki, symbols and hand positions do NOT need to be remembered. Christine will share the information and insights through our journey with cancer. In the workshop I will also explore the nature of pain and suffering and why we create it and how the 2 ½ years Kevin had been in constant pain with mouth and throat cancer was the most joyous time of his life. These insights will allow you to view life as it is viewed by Spirit and embrace all pain and suffering as part of the great game we call LIFE. 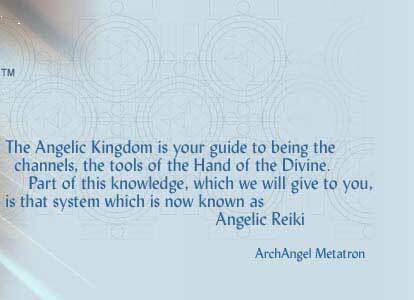 When Angelic Reiki was first channelled Archangel Metatron informed us that it was “The Healing System for Our Time”. Through a simple understanding of modern science in the field of Quantum Physics we now understand the truth of this statement. We will share with you this amazing truth and show how it deepens our healing potential. Consciousness. In our reality we consider time as linear. This is not true. We believe we live in a world composed of beginnings and endings but this is the illusion of living on this plane of consciousness. The greater reality embraces the truth that all manifestation is spherical. You are living every moment of this lifetime now. This is not a platitude. In this workshop we will show you how it works and how to heal your patients and yourself as a spherical consciousness. This information has not been revealed for centuries because of its power. We are fortunate that this system has been chosen by Spirit to break through the veil of illusion we have all been living under for the last 2,000 years. Death and Dying. Supporting and healing someone through a deathing process can be a most profound, uplifting and joyous experience. It is only ignorance and fear that have ever made it otherwise. After Kevin leaving the incarnation I have some poignant and remarkable experiences to pass on. In this workshop, I/we will go through the process that occurs as one separates from the physical body. This will enable you to help a friend, a relative, or a client go through this process. It is possible to heal a person through and after death and it is one of the most profound services that we can offer to another. Etheric Body. Most of us have heard this term but do not understand its implications. If we do not maintain a healthy etheric body we will succumb to illness. Also, light workers who are constantly calling in energy do not understand that an etheric body flooded with this energy can cause problems. In this workshop, we will highlight those problems and show you how to deal with them. The ascension process in causing physical symptoms related to our change in consciousness. One of the main purposes of Angelic Reiki is to support us through this process with grace and ease. for the reawakening of this remembrance. Dear Christine and Kevin. I tried it to express my sense of gratitude to Christine at the Sedona Angelic Reiki workshop, but all I could do was to tear up. I just want both of you to know how much I honour the space that you hold and the great commitment I know it takes to do this work. It meets my needs for validation, a sense of hope, joy and deep connection. There was a sense of homecoming that has continued to resonate and sustain me. Maria. Dear Christine and Kevin. I feel honoured and blessed to have taken part in the Angelic Reiki workshop. Your integrated healing system incorporates numerous levels of lightbody activations which are overlighted by the Ascended Masters, the Archangels and many, many other energies which merge into one to create by far the most comprehensive, powerful and pure healing vibration that I have ever experienced. Aysen. Angelic Reiki is above and beyond any healing modality I have studied or practised. It is totally unique in its purity of content and divine presentation. Thank you for gifting to me, all your students, this world, and the entire universe and galactic communities the most subtle yet profound art of healing on all levels. Angelic Reiki will bring all that is needed for humankind's next step forward in this dance of life. Patricia. This workshop has most of the elements I have been looking for much of my life. To say it has been transformational doesn't even begin to give it the proper words. I have learnt and grown so much. Sandy. Amazing. It is not an exaggeration to call the workshop life changing. The energy is powerful, beautiful, warm and gentle, just as you'd expect an angel to be. The material covered is fascinating. Kevin and Christine are mesmerising, not to mention stand-up comedians for spirit. Their love of their work and each other is admirable and inspiring. Jeanette.